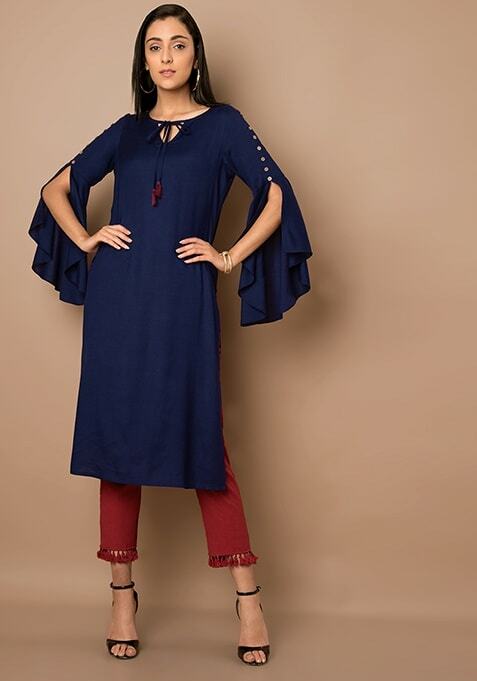 Simple and stylish, this navy bell sleeve tunic is an effortless summer wear. Tailored in viscose fabric, this tie-up neck tunic ensures you a smart look. Work It: Pair this trendy tunic with stylish leggings and heels.